As we ponder the meaning of Lent, we have the opportunity to live out the vision and mission of West End by taking a vase of daffodils to our homebound members. Please mark your calendars for Daffodil Day at West End on Sunday, March 18. 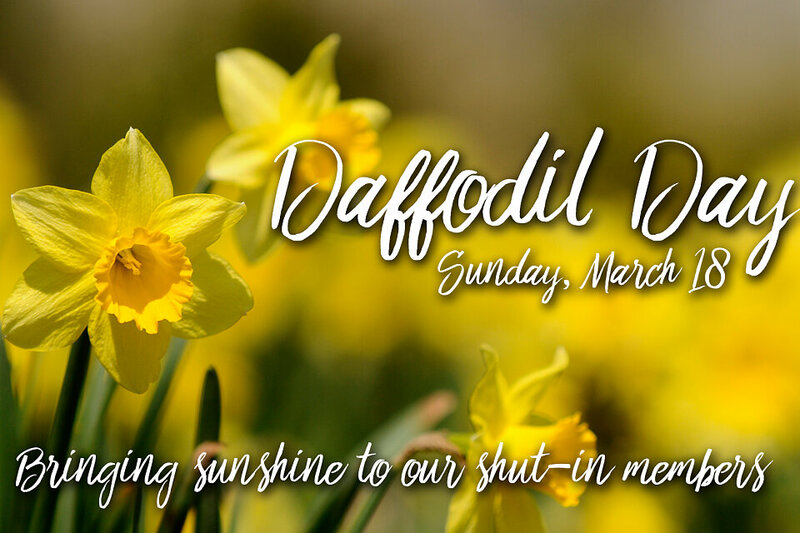 On this day we will arrange daffodils and ready them to be delivered to homebound. The recipients of previous year’s daffodils expressed much appreciation for this meaningful gesture of love and connection among us. Please prayerfully consider participating in this ministry, and notify Fern Richie at fernrichie@gmail.com or 615.351.1665 of your willingness to assist. Daffodils, and the faces and hands of those who deliver them, symbolize the loving light of Christ, connecting, transforming….